Humans have known about honey’s antibacterial properties for centuries, and it’s something I turn to on the homestead to treat wounds on our chickens. For generations, our ancestors relied on honey’s antibacterial properties to treat their chickens as well as themselves, and our medical communities are rediscovering the power of honey as antibiotic resistant bacteria becomes more of an issue. 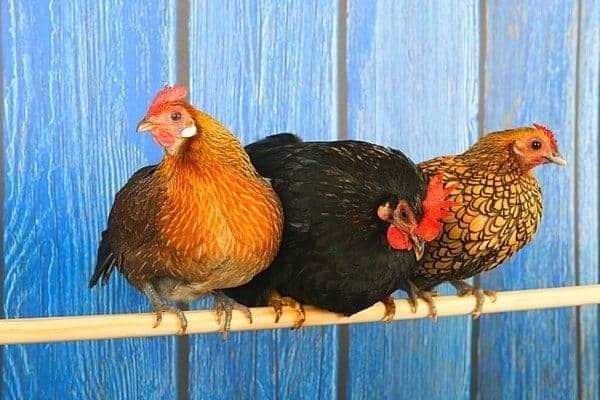 I’ve often found that topical antibacterial ointments that you buy at the store just don’t perform like honey to treat traumatic injuries on chickens, such as large wounds. Of course if your chicken has an upper respiratory infection, then providing them internal antibiotics after consulting with a veterinarian is the way to go. But for external injuries, I’ve found that honey’s antibacterial properties are far superior than other topical antibacterial ointments. Well, for starters, honey doesn’t spoil; it has been found in ancient Egyptian tombs, still edible after 3,000 or more years. That’s pretty strong evidence that honey’s antibacterial properties are superior. Bacteria just has a hard time growing in it. Believe it or not, honey is an accepted form of wound treatment in the medical community. As an “old-timey” approach, it fell out of style as drug companies produced topical antibacterial ointment that better fit our society’s idea of progress. But as bacteria has become increasingly resistant, researchers are returning to some ancient methods to treat common traumatic injuries. In our neck of the woods, there are no avian vets, and I’ve seen enough of the veterinary skills in my area to be concerned about bringing any animal to them. So, on our homestead, we must be self-reliant when treating our flock of chickens, and I’ve learned that knowledge is the best protection. Secondly, in addition to honey’s antibacterial properties, it also is less viscous than over the counter treatments and is stickier. Imagine you’re a chicken that has a large wound on your head from a pecking order dispute. This wound goes through several layers of skin. But, since you’re a chicken, you still want to dust bathe, peck for food, etc. All sorts of normal activities that will expose your wound to bacteria. I’ve found that because honey is stickier, when it comes to wet injuries, honey adheres to the wound better than other antibacterial medications. I’ve found that triple antibiotic ointment, silver sulfide, and other topical medications simply don’t offer the same level of wound coverage that honey does. And in my opinion, when it comes to chickens, this can mean the difference between life and death from infection. Honey is also able to spread its antibacterial properties where a more viscous ointment cannot, namely, under folds of skin or into crevices that we as humans can’t see well, but where bacteria like to lurk. I’ve successfully used honey’s antibacterial properties to treat both quail and chickens on our farm. Recently, one of our quail was involved in a pecking order dispute, and lost literally half the skin on his head. Although the injury was quite extensive, I wanted to give the quail 48 hours before I put him to sleep. He didn’t seem in pain (although he had to be), so I applied antibacterial ointment to his wound. I applied silver sulfide, which is commonly used to treat horse wounds, but I couldn’t get it to cover the wound because of the blood and plasma. So, I gently washed off the silver sulfide, and applied honey three times each day to prevent infection, wearing surgical gloves so I didn’t introduce more bacteria into his wound. I’ve been very pleased with how honey’s antibacterial qualities helped this quail heal. Although he still has a long way to go, the flesh is healthy, pink, and slowly recuperating. After I applied the honey, the following day the wound was fresh, but definitely not red or inflamed. Thanks to honey’s antibacterial qualities, the wound was actually starting to scab over with a hard cover! Another advantage of using honey’s antibacterial properties is it reduces inflammation (hence why the medical community uses it on burns). With my quail, I was concerned that he might go into shock from the pain of his traumatic injury. The honey reduced any inflammation, and kept the wound mois. That way my quail didn’t experience even more pain as his wound dried (which could have caused the skin to tighten). In a second example, I used honey to treat a pullet that, like the quail, was involved in a pecking order dispute. The pullet had a deep, dime-sized wound on her head that went through several layers of skin. In this situation, the wound was smaller, but since it went through several layers of skin, there was a larger possibility that bacteria could grow under the skin, unseen, until the pullet had a full-blown systemic infection. I used honey to treat the wound, after washing the effected area. Similar to the quail, the honey caused the wound to scab over quickly, and reduced the inflammation. When it comes to honey, another advantage is it doesn’t have any withdrawal times. Other topical antibiotic ointments, such as triple antibiotic cream, have withdrawal time, so while the animal is healing, you can’t eat the eggs or the meat. With honey, there’s no such withdrawal times, and you can continue to enjoy your chickens eggs. If you want to use honey’s antibacterial properties on your homestead, you’ll need to pay attention to what you’re buying. I only recommend using organic honey from a company like Thrive Market which ethically sources all of its products. In order to be considered honey, according to USDA standards, bee pollen must be in honey sold in the US. Typically, though, to please consumers who demand clarity in the final product, most suppliers ultra filter the honey, taking out all the particulates and the pollen. In the US, honey you find at the grocery store isn’t usually honey, but a mixture of very processed honey and corn syrup. A lot of the antibacterial properties have been lost. In the US, as well, most of the honey sold comes from international sources, usually China, and contains more corn syrup than honey. Antibacterial qualities are sub par in these products. Organic honey, however, has pollen in it because typically it has not been ultra-filtered, and you can be sure you’re getting a product that is 100% honey. You can also buy honey from a bee keeper in your area, but if you don’t have access to any near you, then purchasing organic honey will do the trick. 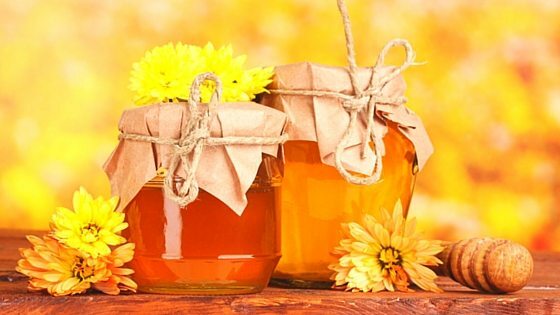 Have you harnessed the power of honey’s antibacterial properties on your homestead? Would you try it? Email me at editor@thefrugalchicken.com or comment below! When it comes to chickens, honey's antibacterial properties might save their lives. In this article, you'll learn how to use honey to treat traumatic injury in chickens and why it's so important to keep in your emergency kit.